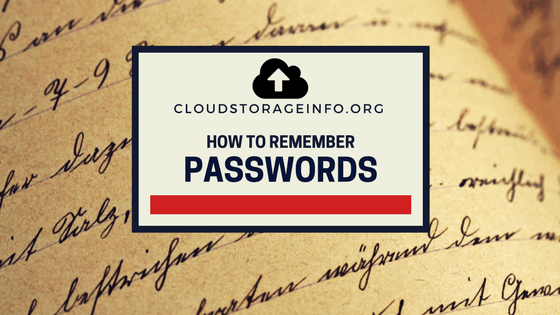 How To Remember Passwords - It's easy if you do it smart! It is important to have a unique password, but it should be something that is easy to remember and never leaves our minds. That's why it is important to know how to remember passwords. We all want to have a secure password that we can also remember but it has become harder and harder now as we have to memorize more and more passwords for different services. You have to combine various phrases, numbers and signs to make your password safe. We have to combine all of that in a safe and secure way but it is often problematic for us to remember the numbers. You can go through the various steps or guidelines that help you to have a safer password and that will stay in your mind for a longer time. 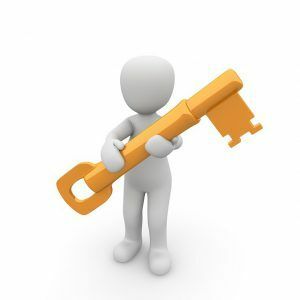 In this article, I'll try to help you choose the most appropriate password and explain different ways that can contribute to remembering it. If you often forget the password and have to go through with the sign-up process again and again, then you can opt for the following steps to effectively remember the password. Forgetting your password makes you panic and just isn't a nice experience overall. Therefore, I've created simple and convenient ways that provide you full assistance in memorization of your password. If you are looking for an easy way to remember passwords, I have a trick for you - Choose some words that are important in your life, and you can’t forget them. For example - Combining three words "my wife Jennifer" as "mywifeJenifer" or anything that is unforgettable for you. Sometimes you can also go for the alternative trick, pick one idiom, or any “saying” or universal truth that you always find inspiring and motivational for you like "Never lose hope in your life". After selecting the phrase you can select the first letters of the complete phrase into "NLHIYL". You can select two words of your choice and take one letter from one word and one letter from the other word. For instance, two words that are in your possession and you love to have them with you. Take an example of the "house" and the other word as a "plane". Make sure that both words possess an equal number of characters to avoid any complication or technicality. Now you can make a password like "hpoluasnee". It is an easier and better way to select your password as it seems to be safer and you will never forget it in future, due to its uniqueness and the choice of words that always remain in front of your eyes. The research has suggested that the phrases that consist of long words are easier to remember for most of the people rather than a short phrase, that is often harder to remember. You can have various long phrases that you find best as your password because it gives you a full advantage for memorization. My Son is My love. Now to make your passwords safer, follow a pattern for the caps lock and spacing, as it effectively makes your password more secure, and difficult to hack. Here is another novel way on how to remember passwords. Things you find more interesting and unique stay in your mind for a longer time than the things that are casual and have no importance in your life. You can try this idea - Select a word you find has more vowels in it, and after choosing the word, remove all the vowels from it and set it as your password. For example, take "Umbrella" and convert it into "mbrll" or you can also try another combination of words e.g. "I love you like hell" and transfer it into "lvylkhll". You can also bring versatility in your password remembering techniques by having a look at the calendar and find an event that is important to you. You can mould the calendar year, date or month according to your choice and set it as your password, for example, if this is 2025 and a month of August and you went to the event with your friend Bob you can code that into "2025AugBob". It will be a convenient way to remember your password, and it won't skip out of your mind for sure. Consider intentionally replacing certain letters with numbers, for example, you can transform "Scoop For Cream" into "Sc00pF0rCr3am". We replaced "o" with "0" (zero) and "e" with "3". Very simple but effective and easy to remember. If you are a bookworm and love reading books, then this trick will surely work for you in remembering the password of your choice. Just consider it as an example that your all-time favourite book is "The Eye of the World", that is written by a renowned writer Robert Jordan, and you love the words that are in the second paragraph on page number 168. All you need to do is combine various details and form a word from that book, for example, the word "Draghkar". So you will set your password as "2Draghkar168". While it should be clear to you that 2 is the paragraph number while the 168 is a page number. We always go for the easier things that won't take much of our time and energy. Here's another way on how to remember passwords. If you often forget your password, this is the one for you. All you are required to do is simply double your previous password that you have set for your email. It's not necessary to double your email password, it can be anything that you find worth remembering or stays in front of your eyes always, so whenever you see it, you instantly get an idea of your password. It's a very simple trick but quite effective. If you have a hectic routine and you fear that none of the above technique will work for you, then put this into your consideration. All you are required to do is list down all your passwords accurately on a piece of paper but don't forget the actual spacing and mentioning the capital words. It's probably best to simply type the passwords into an Excel document and then print it out. But remember to erase the document afterwards as you don't want anyone finding your password treasury. Once you have done it, try to keep that diary or piece of paper in a secure place to avoid any problems in the future. 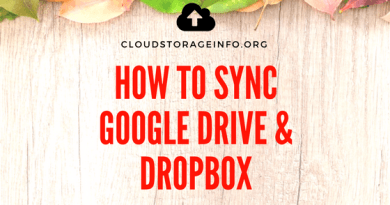 If you would like to keep the password list on your computer, consider encrypting it or uploading it to one of the secure encrypted cloud storages. 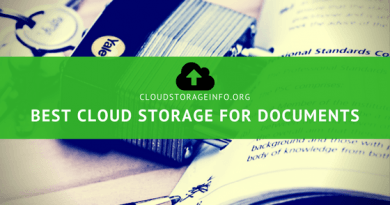 Make sure that the cloud storage is based on a zero-knowledge privacy and client-side encryption for maximum security. The answer to that would be yes, but I wouldn't recommend it if you're trying to stay in the safe zone. 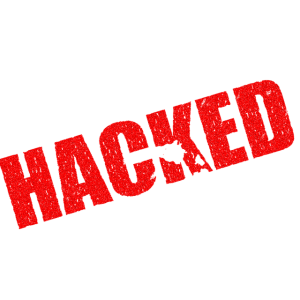 If one of your accounts gets hacked it will expose all of the other accounts with the same password. Hence to avoid such threats or risks you better create different passwords for different sites. Use the methods I've mentioned above to remember your passwords and if that isn't possible, simply write them down. If you have forgotten your password then remember you are not alone. Every day thousands of people forget their passwords and that’s why sites provide you with automated ways to recover or change your passwords. Once you have forgotten your password you can request for a new password via the site itself. They will end up sending you an email and it's quite easy from that point forward. If that option for some reason isn't available or you're not getting the email, simply contact their manager or site support. You can come into a situation where recovering a password isn't possible. Either you lost the email or the site doesn't have a password recovery option for security reasons. In these scenarios, you could try contacting site support and if that doesn't work create a new account and this time choose a password that is easy to remember. Use one of the techniques on how to remember passwords that I've explained above. You should be able to create a secure and easy to remember password if you read this article on how to remember passwords. We're living in an era where technology is everything. If you want to stay ahead of your competition you have to integrate yourself into the system. That means using various services and various passwords. 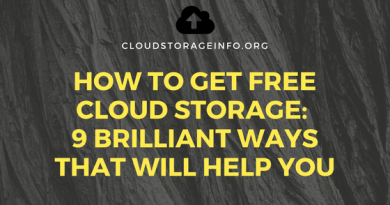 Now you have a few ideas on how to do that securely. Good luck and have a successful day! 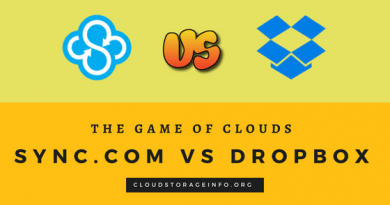 Feel free to check out this article if you're searching for a secure cloud storage. Do you have any ideas on how to remember passwords? Let me know in the comments section down below! Very interesting article, I will definitely try some of your methods. I have been quite terrible at remembering my passwords, and was always recommended to use a service such as Lastpass, then forgot the password to that too, what a disaster! I think it’s great that you are sharing real ideas for ordinary people who don’t want to make remembering passwords too much work. Surely one way should work! Well, I bet that was horrible. At least you now have a few ideas to work with! Surely one will stick. 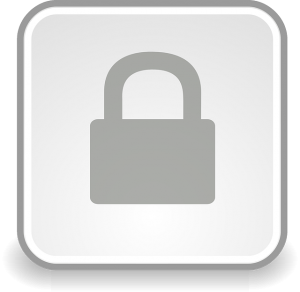 An excellent blog on how to protect and remember your passwords and to keep it safe. I have that many different passwords for many things e.g email/ social sites/ online banking. The tips you have provided are very useful and will definitely be using them to keep each one of my accounts safe and secure. I actually like the idea posted by Jair as well, I am glad you included it in the post. I’ll try to use that one and implement it into my passwords. Yeah, I think Jair had a great idea. All of the options above are good but I guess everyone prefers a different solution. Thank you for this hints for creating passwords that are easy to remember. It’s really helpful and the fact that mind is always filled with numerous things it’s so easy to forget things. I was reminded that I have to change some of my passwords to my other sites. I made a few of them the same so that I don’t get lost. The world is filled with hackers that always look for victims for their own benefit. As I mentioned in the article, it’s best if you make different passwords for each service. Even variations of the same password is better than having the same password all across the services. It becomes a lot of typing so I started using these password apps to store all your passwords but I have always wondered how secure these really are. At very least they help guard against keyloggers. What are your opinions on these password apps & extensions, is it better to always type your passwords in or trust an app? Knock on wood I have never had any bad luck with hackers or being super spammed but passwords is a very scary subject if you don’t take the time to protect yourself. Well, I am off to read more of your site as I am far from a tech guy but your site makes it easy to learn this stuff. Keep up the great work!! That’s actually such a good idea. Haven’t thought about it in that way. I’ll actually add it to the list above as it’s really great.I haven’t had much experience with apps that store all of your passwords. Under point one, I don’t feel the need for it as I try to memorize all of my passwords and secondly I don’t feel good about giving all of my passwords to a service like that. I am sure they go to great lengths to make sure your passwords are safe but you never really know what’s happening behind the scenes. I would just stick to the paper and keep it someplace safe if you have problems with memorizing passwords. This is an interesting subject. I’ve always used one password for everything, but nowadays, with the security features and constantly needing to update passwords it’s impossible to remember them all. This sounds handy to have some ways to remember all of your passwords. Do you have a way of remembering special characters? Sometimes places require one. Do you just pick a favourite and throw it on the end? It’s best if you have different passwords for every service you use. That’s quite hard nowadays with all the social media, online tools and programs that you need to operate properly. I would suggest using some of the methods mentioned above on how to remember passwords. These special characters became a “thing” in the past years in order to improve the security of passwords and when I first had to add one, I admit that I was quite annoyed. But if you look at the bigger picture, if it improves your safety then why not. I have a favourite special character that I either throw at the start, between words and numbers or at the end of the password. It’s quite easy to remember if you’re using just one.